ROK President says Kim Jong Un hopes to turn the North into a "normal nation"
The South Korean President on Friday said Seoul and Pyongyang will be able to move towards an “economic community” once the denuclearization of the peninsula has taken place. 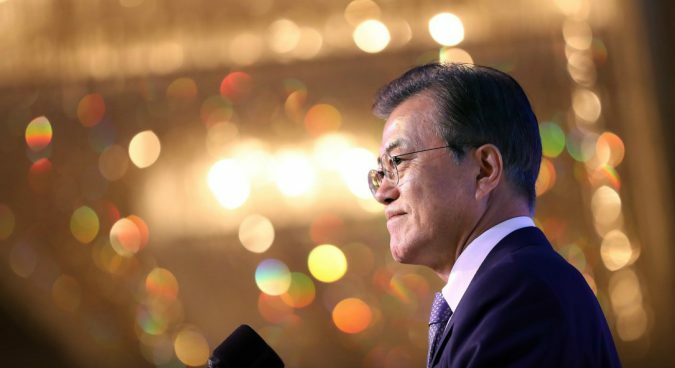 “Building on complete denuclearization and peace on the Korean peninsula, South Korea will draw up a new economic map,” Moon said. 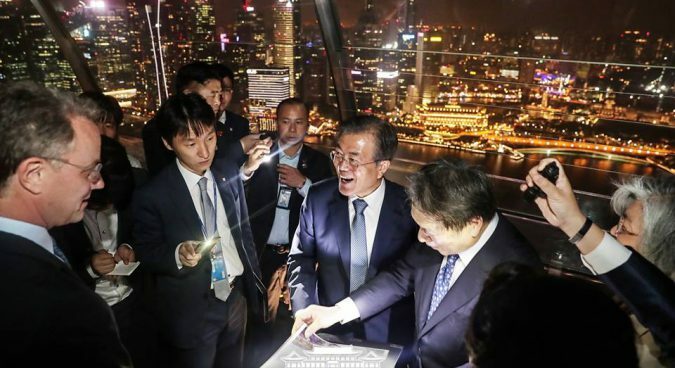 The Moon administration has since last year promoted its “New Economic Map Initiative of the Korean peninsula,” a plan to lay the groundwork for economic unification by resuming inter-Korean cooperation and developing a single market between the two. 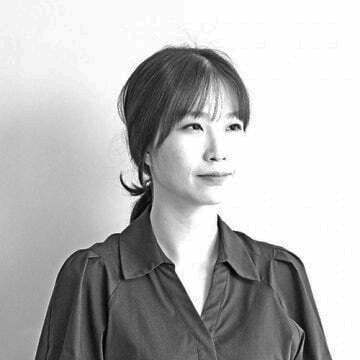 That plan would see Seoul build three inter-Korean economic belts on the peninsula: an energy-resource belt in the eastern coast, an industry-logistics and distribution-transportation belt on the western coast, and an environmental tourism belt on the Demilitarized Zone (DMZ). The Moon administration has repeatedly insisted that its Panmunjom Declaration plans to implement the projects agreed to in the 2007 October 4 Declaration to “promote balanced economic growth and co-prosperity of the nation” will not violate international sanctions. South Korea’s unification minister last month said the two Koreas should be prepared to “immediately” begin economic cooperation once sanctions are relaxed. Friday also saw President Moon say North Korean leader Kim Jong Un “will be able to lead his country into prosperity” if he fulfills his commitment to denuclearize. In his speech, the ROK leader also emphasized the importance of incorporating Pyongyang into cooperation with the South and ASEAN. “It is necessary to create opportunities for North Korea to fulfill its role as a responsible member of the international community,” Moon said, adding that economic cooperation between the North and ASEAN “will be revived again” when sanctions on Pyongyang are lifted. ASEAN in the 2000s supported inter-Korean economic cooperation by putting the same tariff rates applied to South Korea-produced goods on goods produced in the Kaesong Industrial Complex (KIC). Pyongyang and ASEAN had established “mutually beneficial relationships for economic cooperation,” Moon added. Friday also saw the South Korean President pledge to “make every effort to cooperate with Japan” to contribute to the normalization of relationship between Japan and the DPRK. “The normalization of inter-Korean relations will eventually normalize North Korea-U.S. relations and, then, North Korea-Japan relations,” the ROK President said. Kim Jong Un reportedly expressed his willingness to hold talks with Japanese Prime Minister Shinzo Abe “at any time” during his meeting with President Moon in April. During a question and answer session following his speech, Moon warned U.S. President Donald Trump and North Korean leader Kim Jong Un would face criticism if they failed to fulfill their agreements. “If the leaders don’t keep their promises… they will be sternly judged by the international community,” he said.